Cisco shares traded down about 2% this afternoon after reporting fiscal q3 earnings. EPS of 42cents came in above the 39cent consensus Street expectation, and revenue of $10.4billion was slightly ahead of expectations. 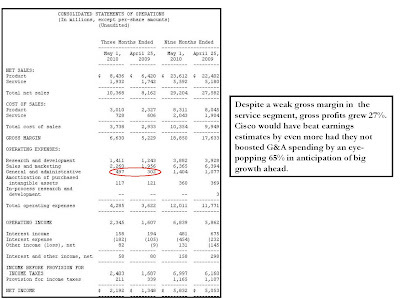 -->> The weak service gross margin should not be an ongoing problem. 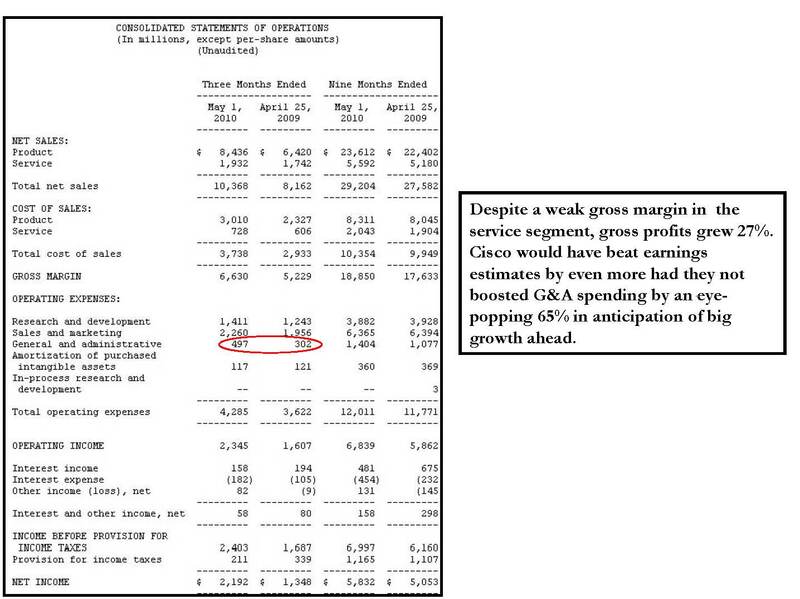 There are many differences between contracts just ending, just beginning, and they all affect general swings in quarterly service margin. -->> The company expects to ramp hiring, with plans to boost the headcount by 2-3k in upcoming quarters, a possible headwind to further EPS upside surprises. CEO John Chambers was IMPLORING people not to "get ahead of themselves" in making bullish changes to their model based on an assumption of current growth trends. While Europe grew over 20% in the third quarter, Chambers' words of caution may be due to worries about weakness in that market. Cisco shares remain very, very attractive, and I think they'll be trading ten dollars higher a year from now. 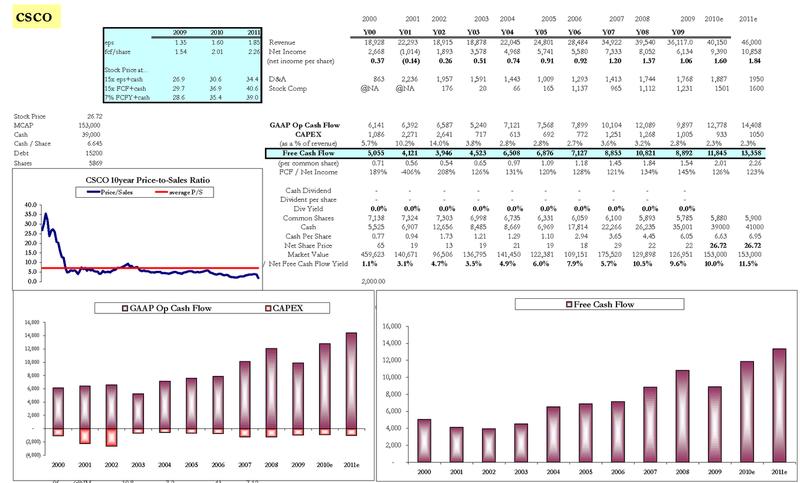 Don't forget that with a July fiscal year-end, people will be evaluating published 2012 EPS estimates (ending July 2012) in just a few months, and right or wrong, that will pop into people's "forward PE" valuation models.